Welcome to the human rights collection gifted to the North Idaho College Molstead Library by the Kootenai County Task Force on Human Relations (KCTFHR). This is the human rights story and journey of the KCTFHR that emerged as a counter to a serious threat by a band of neo-Nazis and white supremacists after they relocated from southern California to northern Idaho in 1973. The neo-Nazi group’s leader, Richard Butler, purchased land in a rural section of Kootenai County, Idaho, built a compound, and soon established what became known as the Aryan Nations. In addition, he formed the Church of Jesus Christ, Christian and became its pastor. After seven years of a low profile and little public activity by the Aryan Nations, all that changed in December 1980 when members of the group placed graffiti on the property of a local Jewish restaurant owner in Hayden, Idaho, to intimidate and harass him based upon his Jewish ancestry. Soon after that incident an individual associated with the group targeted and used serious threats directed at a bi-racial family in Coeur d’Alene, Idaho with the intent to drive the family from the community. This is where the story of the Kootenai County Task Force on Human Relations begins. During the first week of February 1981, a small number of local citizens met at a local church in Coeur d’Alene and formed the KCTFHR. The new human rights group committed itself to stand up to the hate and to organize through peaceful strategies provide an effective vehicle to oppose the hate and advocate for social justice. 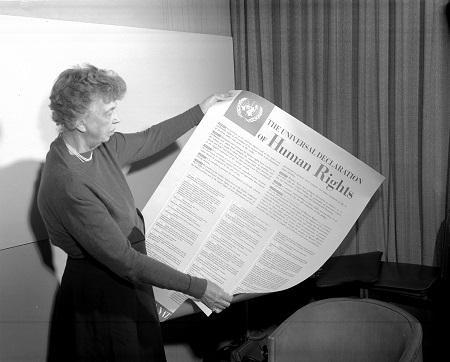 As you read through the human rights collection, you will discover that the first major task of the KCTFHR was to support victims of malicious harassment/hate crimes, partner with law enforcement and prosecutors on behalf of the victims and campaign with elected Idaho officials for the passage of a series of state anti-hate crime laws. Beginning in the early 1980’s, the KCTFHR and the broader community faced dangerous actions undertaken by members of the neo-Nazis and their allies that involved murder, attempted murder, bombings including the home of the KCTFHR Board president, armored car robberies, counterfeiting currency, physical assaults, wide-distribution of hate materials, an annual April skinhead conference at the neo-Nazi compound as well as an annual July Aryan Nations World Congress at the Aryan Nations’ Compound. The human rights collection documents the successful story of how the Kootenai County Task Force on Human Relations grew into an effective civil rights/human rights force not only in the region but nationally as well. Although the KCTFHR was established as a counter movement to the new neo-Nazi threat, it was not long until the human rights group took on a three-part mission: First, the Board developed a legal mechanism to counter the dangerous hate activities and crimes through providing support for the victims. Second, the organization begin assisting individuals that faced discrimination in housing, employment or public accommodations. Third, an educational component was developed to promote educational programs and events around diversity and social justice. Response to hate messages and hate crimes: Support for victims of hate, passage of anti-hate crime laws in Idaho and the history of the successful outcomes in favor of the victims in both criminal and civil court jury trials. Campaign for passage of a 2013 Coeur d’Alene City anti-discrimination ordinance. KCTFHR annual human rights banquet 1998-present. Media coverage and accounts of KCTFHR press conferences and press releases since the early 1980’s. Materials and press coverage of the annual Dr. Martin Luther King, Jr. 5th Grade Students’ Program since 1986 sponsored by the KCTFHR and the Post Falls and Coeur d’Alene school districts. Human Rights rallies, parades and educational symposiums organized by the KCTFHR. Production of TV programs addressing human rights in partnership with North Idaho College. Advertising campaigns with marquee reader boards, brochures, posters and an annual booth at the five-day North Idaho County Fair and Rodeo. Serving in the capacity of visiting consultants and speakers with communities from coast to coast in the United States. The KCTFHR organized regional events, a media campaign and funds for diversity materials earmarked for public schools (Lemons to Lemonade) as a peaceful counter to the Aryan Nations marches in downtown Coeur d’Alene, Idaho in 1998 and 1999. 1 Idaho Public Television documentary “The Color of Conscience: Human Rights in Idaho”, Marcia Franklin producer (2011). 2 “Social Justice Leadership in Action: The Case of Tony Stewart”, professors Kathy Canfield Davis, Mary E. Gardiner and Russell A. Joki, Journal of Ethnographic & Qualitative Research, Volume 3, Issue 4, Summer 2009. 4 “Choosing Social Justice Over Hate: Two Stories of Community Success in the Pacific Northwest”, Norman Gissel and Tony Stewart, National Civic Review, Volume 101, Number 2, Summer 2012. 5 “Resist, Rally, Reaffirm: What to Do When a Hate Group Visits Your City”, author Tony Stewart, City Vision: The Association of Washington Cities Magazine, July/August 2011, p. 24. 6 Vogt, Andrea. “Common Courage: Bill Wassmuth, Human Rights, and Small-Town Activism”. University of Idaho Press, Moscow, Idaho. (2003).